In recent years, marine lighting has rapidly evolved to reflect exciting advances in technology and innovative new features. 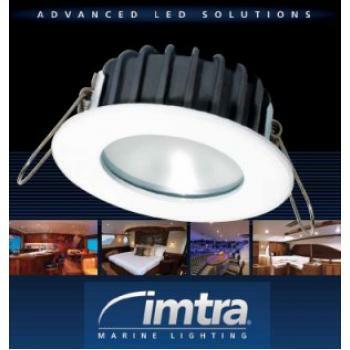 Imtra has been at the forefront of these developments, offering customers a wide variety of sophisticated lighting options. They are continually evaluating new components, exploring the latest technologies, and setting the standard with the industry’s most advanced lighting solutions. 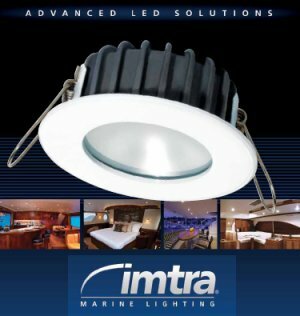 Whether you’re interested in the latest LED fixtures, classic reading or wall lights, dimmers and converters, halogen lights or replacement bulbs, Imtra is your ideal source. They back up their products with a deep knowledge base, unsurpassed customer service, and more than fifty years of experience. It’s no wonder Imtra is the choice for top builders, boat yards and boat owners around the world.